Powder for hair appeared on the shelves recently and sparked the interest of many buyers. With this powder you can give your hair a natural volume, to make them visually thicker, add hair dynamics and even change the hue of the tresses. Sculpting powder allows you to avoid the tedious combing up hair" hair at the roots while creating lush styling, it effectively removes greasy Shine and makes curls more manageable. 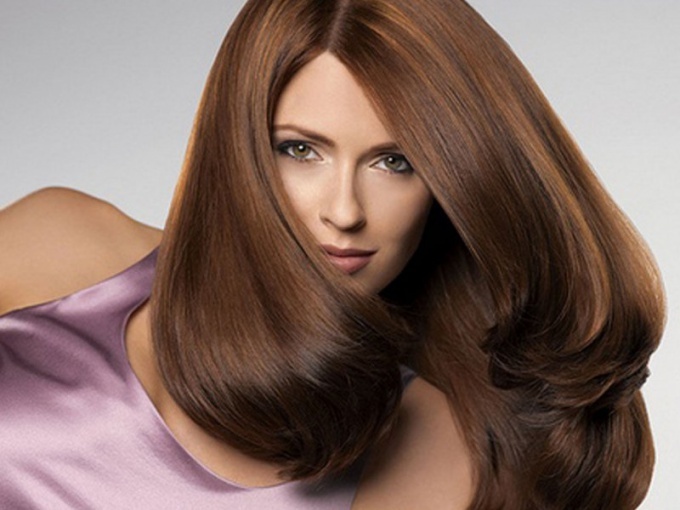 Modern manufacturers also offer toning powder, which in addition to adding volume in just minutes changes the color of hair. In addition to toning powder, coloring hair a darker tone, there is modeling decolouring powder-powder, which is suitable for blondes who wish to make the curls more vivid and expressive. Sculpting powder good on medium length hair, however, those with shorter hair styles can use it to create a spectacular new look. This styling product is perfect for owners of thin hair, because it makes the curls visually bigger. Usually powder for hair does not smell, unlike a lot of fixing varnish, does not make heavier and does not stick hair, which remain light and looks natural. Powder for the hair should be applied at the final stage of styling, when the hair is well combed, curled, and only need to fix my hair by adding volume. Experts advise to apply the powder to the roots, evenly distributing your fingers across the surface of the head, then the hair can be a little lift with gentle massaging movements. This will make the curls more natural and to give them the effect of light negligence. The powder is best applied, emptying from the vial directly on the hair, but some masters are recommended to first pour the sculpting powder in your palm and then distribute it throughout the hair, focusing on roots, and applying a little powder to the hair ends. The applying means from the bottle to the roots allows you to make the hairstyle more voluminous, however, this method of application care should be taken, covering the shoulders with a cloth, so as not to ruin the clothes, especially if the powder has a toning effect. Apply a sculpting powder only on dry hair. The next day after application you should wash your hair. You should not use sculpting powder too often, because it has the ability to dry hair. Optimal frequency of use – 1-2 times a week. 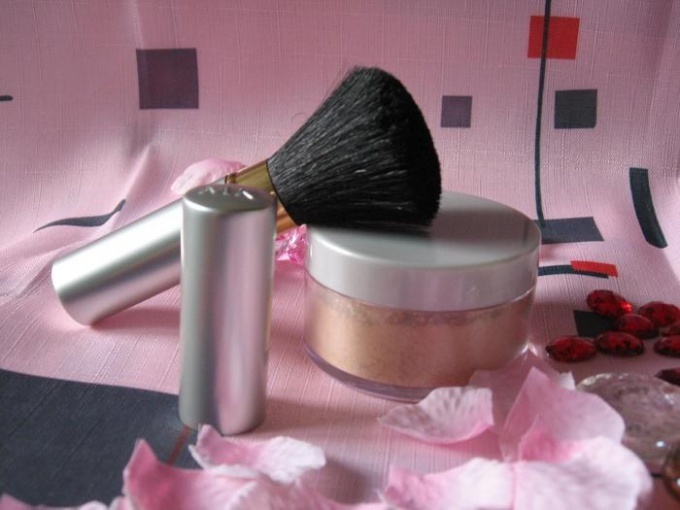 Powder for women is not just an item of makeup, but also as a stylish accessory, so manufacturers produce it in luxury boxes. Today there are many powders, from which it is difficult to choose the best is difficult if you do not know the top of the winners in this beauty ranking. One of the most popular powder today is "Bobbi Brown Sheer Finish Pressed Powder" compact and perfect for summer. It has a matte effect, not desiccate the skin and is corrective redness, minor flaws and other defects of the skin. Advantages of Bobbi Brown Sheer Finish Pressed Powder" is represented in its relatively small density, control greasy, no oils, vitamin E and range from 10 beautiful shades. For applying this powder with a brush just a thin layer – in this case to resort to napkins matting is not required. Not less well-proven powder "Clinique Stay Matte Sheer Pressed Powder Oil-Free, which preserves the freshness of the makeup throughout the day and has a matte effect. It is perfect for oily skin because it contains special microscopic bubbles that absorb fat. "Clinique Stay Matte Sheer Pressed Powder Oil-Free won't clog pores, creates a feeling of silky smooth skin without tightness in the mask, and the light natural shades of powder almost invisible on the face. Cream-powder "Clinique Even Better Compact Makeup SPF 15" is compared to photoshop, so the quality of its effect. It evens skin tone, creating a smooth, glossy smooth coverage and hides all skin imperfections, including scars. Its formula contains vitamins E and C, protect from UV rays and other components that provide additional skin care. 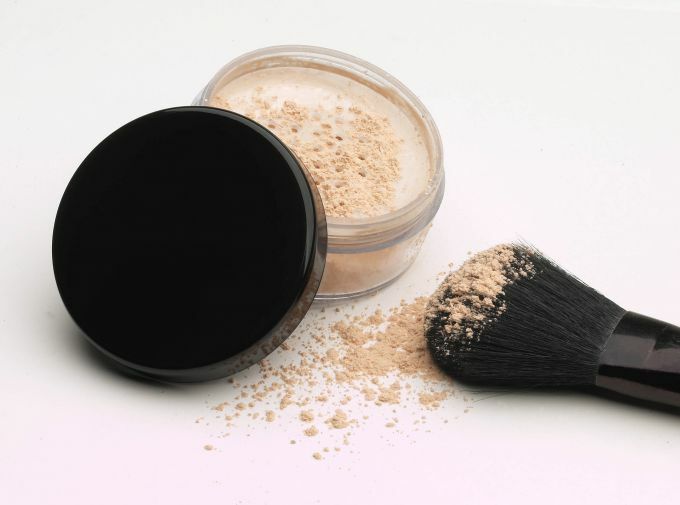 Women who use this powder, do not require application of Foundation, because it combines both tools. A revolutionary product that women also recognized the powder-jelly Estee Lauder Invisible having air breathable formula and technology, provide a satin-suede leather texture. Its scattering pigments and a transparent coating gently adjust the hue of the face and create a noble and delicate makeup. And finally, the winner of the rating - powder "Studio Careblend/Pressed Powder", has a delicate silky texture and a pronounced matting effect. It is perfect women who prefer comfortable and light feeling of powder on the face, which, however, gives visible effect. Also "Studio Careblend/Pressed Powder" takes care of the skin because it contains olive oil, Shea butter and sunflower seed. Transparent powder is a cosmetic product that will suit in any situation. Especially when you need a flawless makeup throughout the day. Powder makeup, keeping fresh and matte effect for many hours. On the market there are many variants of powder. Mineral and unique plant complex, free-flowing, and more recently, the growing popularity – transparent. Below are a few suggestions that will ease your decision and tell why you should have them in my purse. Translucent powder Kryolan brand is a reliable, professional cosmetic product that will love any woman. It guarantees flawless makeup throughout the day, regardless many factors. If you are looking for a cosmetic that will leave on the face is thin and matte finish, is to bet on him. Another product that deserves recognition, this transparent powder from the brand Max Factor. Will be irreplaceable for people with oily skin. After the first application the skin becomes smooth and silky, without the additional load. Choosing the right shade, gives confidence that the powder is perfect the skin without creating a mask effect. Not to mention the dust from the brand Mary Kay. This free flowing powder, which is able to Mat the skin throughout the day. Like no other cosmetic product is great for any skin tone. Moreover, through the contained particles is masking the wrinkles, making the skin regains radiance and freshness. Not every product has a name. Brand Ecocera meet your expectations and because of this, you must choose a unique cosmetic like rice powder. This product is perfect for oily skin. Quickly and effectively absorbs excess sebum and gives the skin a beautiful matte appearance for many hours. Another product that should meet your expectations, it is a transparent mineral powder from the brand Pierre Rene. Designed for all women who want to have flawless makeup. With the help of cosmetics this goal will be achieved without much effort. It is worth remembering cosmetics brands Marisa. This powder is characterized by a light texture that does not clog pores and protects the skin from any external influences. In addition, powder that perfectly adapts to skin tone, without the effect of education "masks". Because it contained silk protein and natural UV filters can be used always and at any time of the year, even during Sunny days. Thanks components this loose powder delivers a striking makeup colors and perfect disguises the fading of the skin. Are you looking for a unique cosmetic product which will make your skin will have a beautiful and flawless look? If so, you should put on a transparent powder. Try it today and you will understand that without him the implementation of makeup will never be the same.